Observation - Peacock Butterfly (Aglais io) - UK and Ireland. 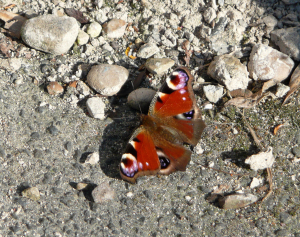 Description: First butterfly of the year as spotted by my 15 month old daughter! First butterfly of the year as spotted by my 15 month old daughter!